Available Space: 21,867 sq. ft.
Total Space: 56,612 sq. 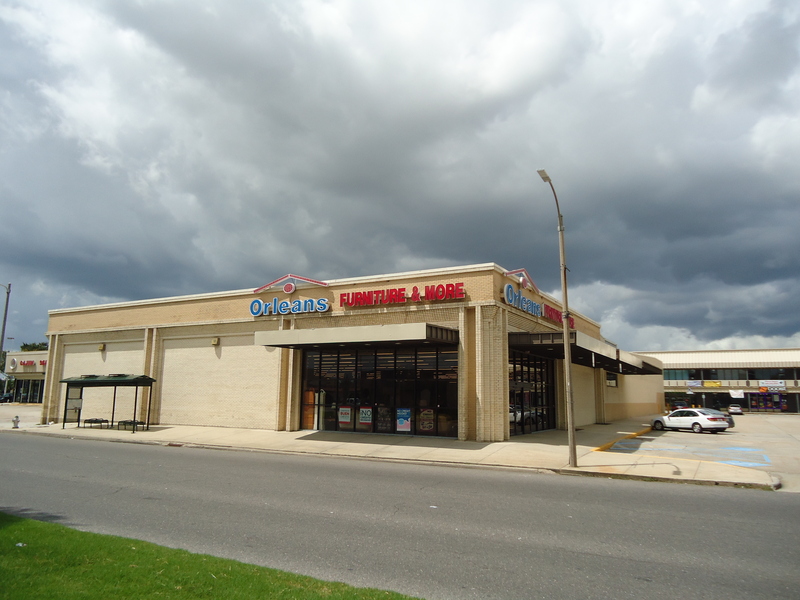 ft.
Anchor space available in neighborhood shopping center in New Orleans East. Excellent visibility and plenty of parking. Pylon signage available as well as canopy signage. Tenants include VIP Cleaners, Global Uniforms, Boost Mobile, Hot Spot Barber, Glam Squad, Liberty Tax, Nails to You, Chiropractic Wellness Center, and St. Agatha Career School. Site size is 110,100 sq. ft.
One block from I-10, in New Orleans East, at corner of Andover Street.